You are here: Home / FREEbies / FREE Starbucks K-Cups! 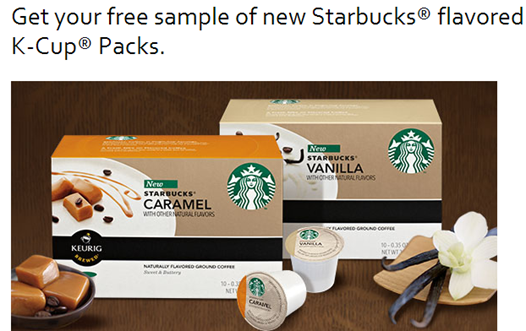 You can get a FREE sample of Starbucks new flavored K-Cups! 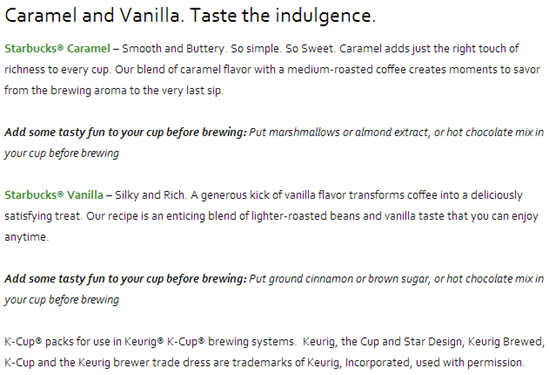 Their new flavored K-Cups include Caramel and Vanilla! So, get your FREE sample and let us know which one is your favorite!